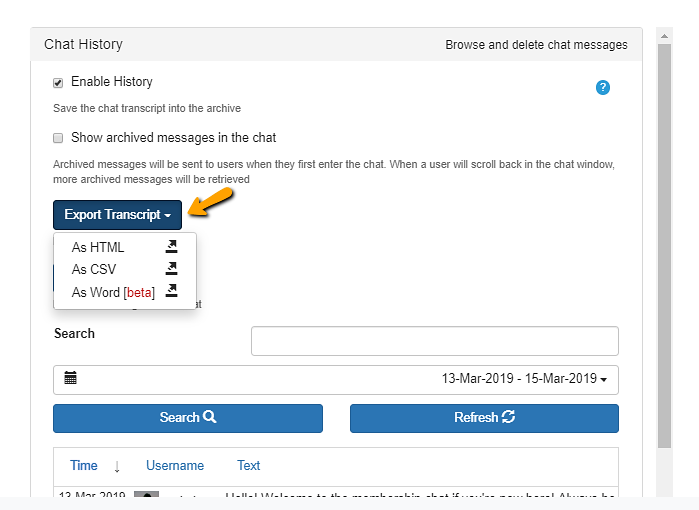 There are 2 ways to export the group conversation transcript (chat history) into an HTML/CSV/Word file. 1. Log in to the chat room as normal. To export the conversation into a file, you will need to login to the group chat. 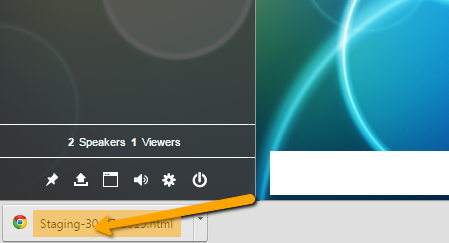 On the lower left part of the chat, Click on the export icon. Note, only the content presented in the chat will be exported. If you wish to export older messages, simply scroll up to get older messages. See the html file downloaded into your browser. Double click the file to open it in your default browser. You may copy the file to your web server and open it directly as a link. 5. 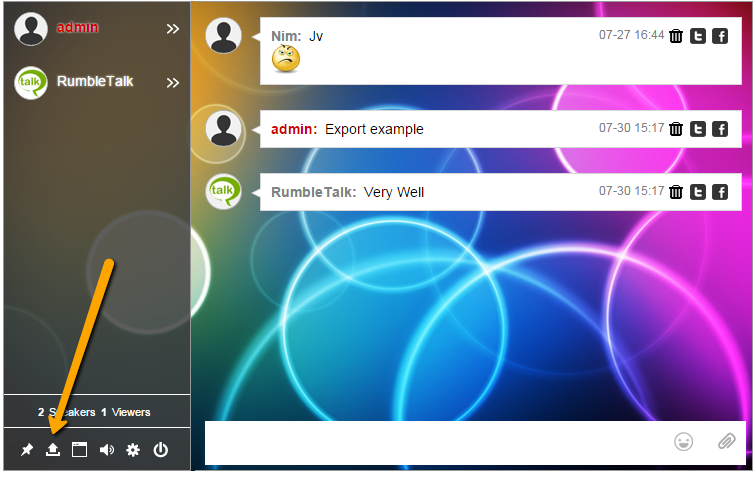 Login to RumbleTalk admin panel. Log into your account and go to your chat room settings. Then, go to the Archive section. Now you can set what you want to export. 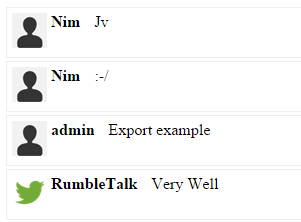 Click on the ” Export Transcript”, choose between html or csv file. and your file will be created in the browser download folder. Previous postLogin as a chat admin (moderator)? Next postHow to change a notification sound?